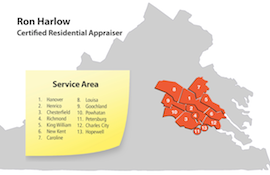 I’m a certified, FHA-approved residential appraiser in the state of Virginia. 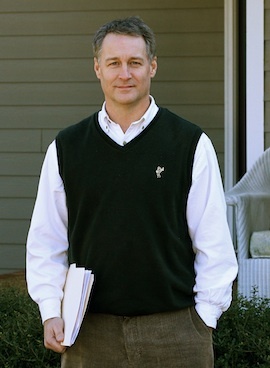 A Richmond native with more than 25 years’ experience in the Central Virginia market, my client list over the course of my career has included Fortune 500 companies, local attorneys, mortgage companies, real estate investors, and homeowners. A graduate of the Virginia Commonwealth University School of Business, I have appraised more than 6,000 properties with a total value surpassing $900 million. I continue my training through annual professional education, and have held a Virginia Class A Contractors license, resulting in a deeper understanding of all types of construction and design. From rural to urban, new to historic, and everything in between, I have the expertise and experience to service any residential appraisal need. Virginia Certified License Number 4001 003342, exp. 06/19.